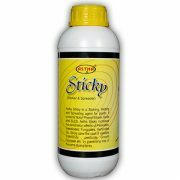 Astha Sticky - Lila Agrotech Astha Sticky – Lila Agrotech Pvt. 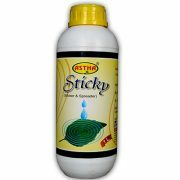 Ltd.
Astha Sticky enhances the pesticide activity to overcome this problem and help to penetrate their target. Today, most of the pesticides are formulated to use water, water based pesticides are not effective for waxy surface of plant leaves, insects and fungi. 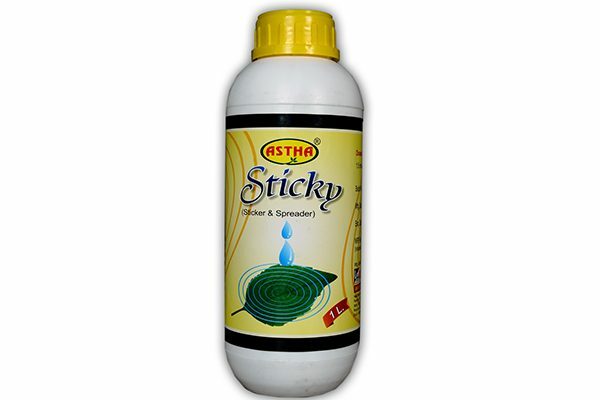 Astha Sticky enhances the pesticide activity to overcome this problem and help to penetrate their target. 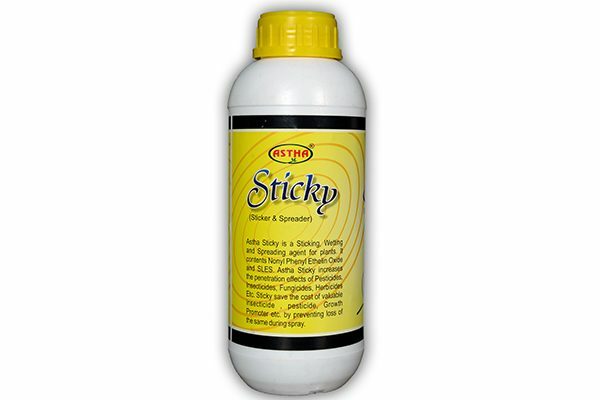 Astha Sticky Is a combination of Nonile, Finayel, Ethylene oxide, Sodium Lauryl Ether. Astha Sticky is water soluble spray makes water wetter and increases pesticide, fungicide, insecticides, matricides, herbicide efficiency. 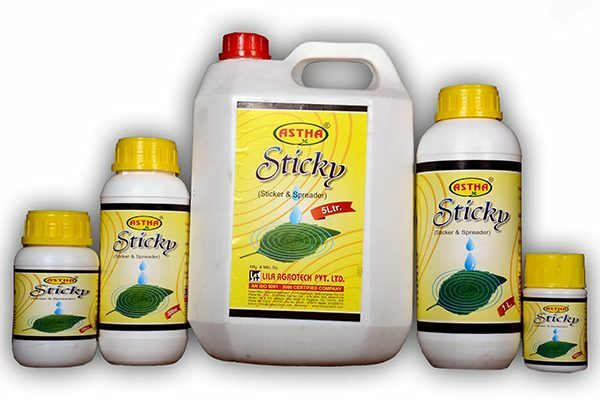 Apply Astha Sticky at least 1-2 hour before watering or expected rainfall; it is protecting the sprayed product from rain wash-off and sunlight. 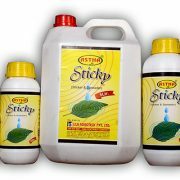 Dilute 1-1.5 ml of Astha Sticky in water with pesticide, fungicide, insecticides, matricides and herbicide for spray in orchard plants, vegetables, cereals, flowers and any commercial crops like tea. Available Pack: 100ml., 500ml., 1ltr., 5ltr.